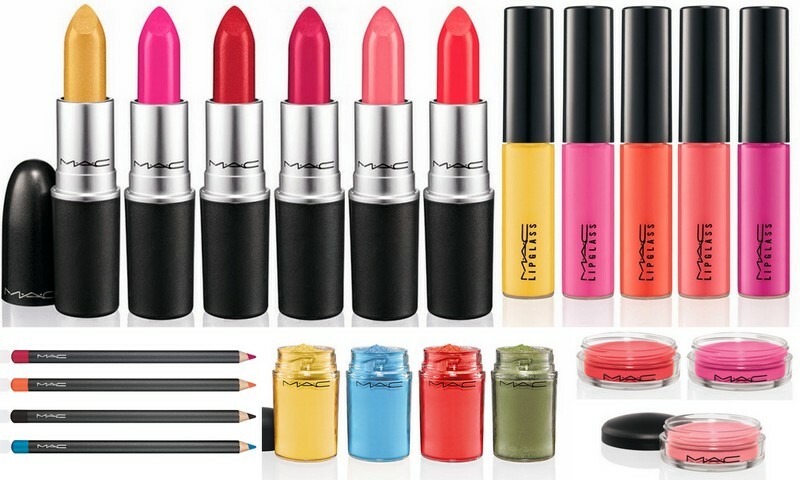 MAC’s always had killer limited edition collaborative collections and, to this day, I still mourn the fact that those Hello Kitty items of yesteryear have long left the shelves – both of those blushers were perfection for my skin tone. Still, it’s all onward and upward, right? 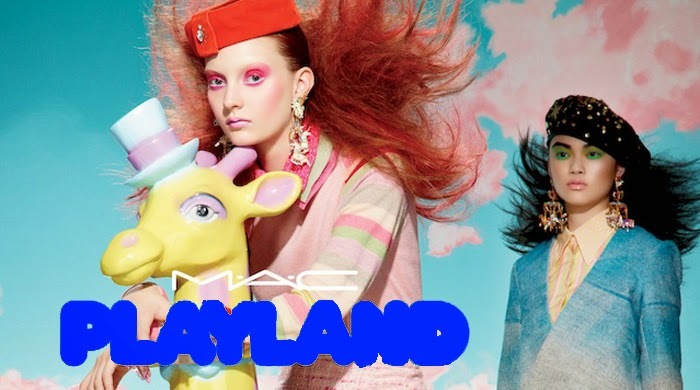 So let’s take a look at one of MAC’s latest limited edition collection, Playland. Does Giraffe girl know she’s got a stalker? A a super fun, whimsical collection, Playland is mostly for girls looking to have a little fun as well as those that are very brave. I mean, not everyone can pull off yellow lipstick, right? Still, just because you don’t want to ride the rollercoaster it doesn’t mean you’re not going to have fun at the fairground. I’m really looking forward to getting in store to try out the darker fuchsia-coloured lippie, ironically called Red Balloon. (It’s fourth from the left in the piccie up top next to the regte red shade.) 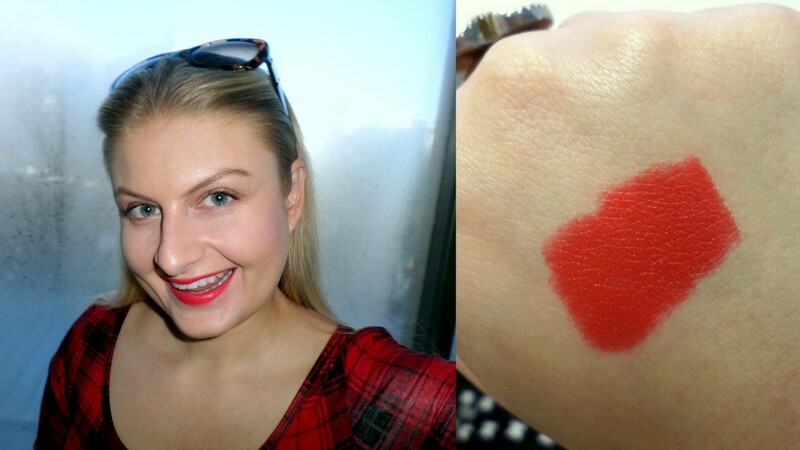 I suspect I’ll fall in love with it as it looks so much like Lickable, my favourite MAC lippie to date. Those little pots on the right are called Casual Colours. 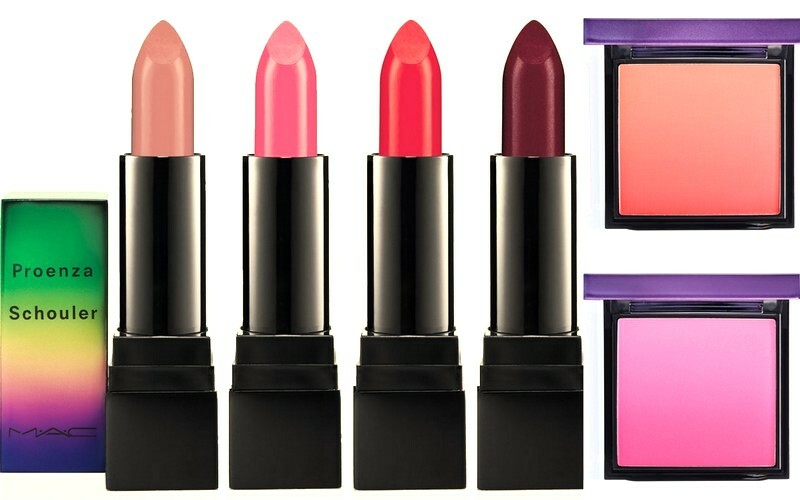 They’re lightweight all-in-one hues for lips, cheeks and eyes but, in my opinion, do their best work when they’re on your cheeks. 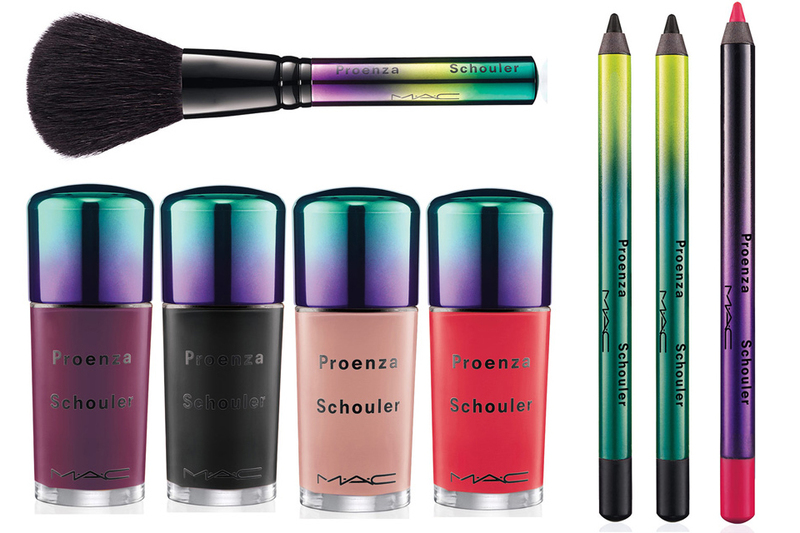 Not keen on the (neon) bright side of life? 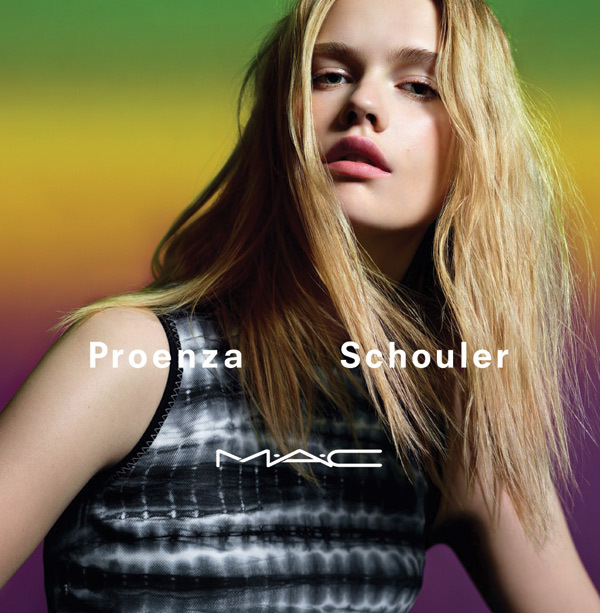 You might appreciate another limited edition collection, MAC x Proenza Schouler. Lippies from left to right: Woodrose, Pinkfringe, Mangrove and Primrose. The pink blush is Sunset Beach and the coral one is Ocean City. I was given one of the lippies to try, a shade called Mangrove (R300), which I didn’t think I’d love as I don’t feel comfy in coral. But surprise, surprise, it’s got enough red in it to be super flattering and makes my blue eyes pop. There’s enough ‘blue’ in this shade to also create the illusion of whiter-looking teeth too. Love that!